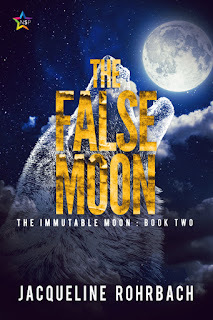 Today I welcome Jacqueline Rohrbach to the blog to share her new MM paranormal release, The False Moon. Garvey is a Moondog to his bones. He and the unexpected get along just fine. That’s why when Molly, the vampire who should be a mindless eating machine, turns out to be an oddity, Garvey decides to hide her away instead of killing her. But that leaves him needing another vampire to carry out the schemes of the two powerful werewolf rivals he’s caught between. What’s an improvising Moondog to do other than find some poor sap and create a new one? Garvey might be a Moondog to his bones, but to defeat his enemies, he must navigate their world and be the stupid, subservient beast they expect. At least on the surface. Behind the scenes, Garvey intends to turn their plans against them and bring the two greater packs to the brink of war. Kijo stood in front of the gateway Mazgan stole from the Boo Hags. Lacking descriptive language, she could only call it doorish but smaller. As it was, when she became wolf, it was what she felt and not what she saw. Surging electricity pried apart large spaces inside of her to make room for itself amongst her being. This sensation wasn’t intoxicating. It was terrifying. Without knowing how she knew it, Kijo understood the presence with her wanted to rip her apart. You do not open it. It opens you. It was one of the few things Kijo remembered Lavario saying with any force back when he was still her father. Normally flippant about bright-line rules, he was stern, even afraid, when he cautioned her against tampering with the sentient powers immured within the gateways. Back then, pride kept her from asking him more. As a new wolf, she wanted her pack to think she was in control, secure in her ability to fight any enemy the world had to offer. Varcolac. What a fool she’d been. Now it was too late to ask for guidance, too late to admit her fear, too late to do anything other than move forward. Under her nose, Mazgan had already brought a gateway there and left it where anyone could access it. 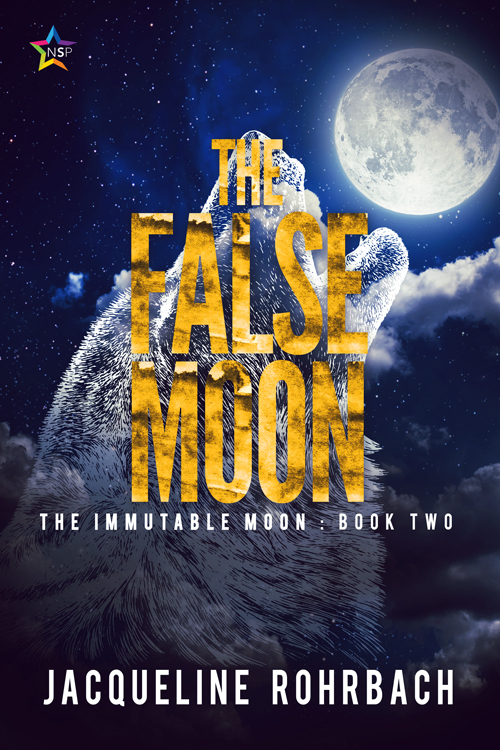 Worse, he’d selected Garvey—a brazenly careless wolf—to travel through it and bring back a vampire of all things. In her head, she considered her pack’s response. It’s nothing, they’d say. Their retort played out in her head. It was past time for Varcolac to have dominion over one. We are due. You are looking at your birthright. Your rank is not just some silly title. It is a destiny, Guardian. Furious, Kijo paced the length of the hall. Her imaginary conversation with her subordinates became reality if she approached them now. Pack pride surmounted their caution. An honor they’d been denied all these years, a right reserved by the much hated Isangelous, was in their possession. Having did not mean tampering. Even if it did, the wolves of the Varcolac—mostly younger, brasher—might not understand the danger. Mazgan hadn’t exactly hidden it either; the damn thing was literally a door to a storage room. Inexcusable hubris. “You will need so much more to persuade them of the danger,” she concluded to herself. This time, her pack did not answer her. She was alone. No, not alone. An unknown entity stirred nearby. More curious than concerned, Kijo scanned the hallway, narrowing her eyes while she sniffed the air in measured, stable inhalations. Her nostrils barely twitched. Although she didn’t see, didn’t hear, didn’t smell anything, instinct demanded she listen. Kijo straightened herself, haughtily raising her chin. She walked up to the gateway the same way she’d approach any other enemy. Touch. The energy sent her staggering backward. It was an impulse as strong as anything she’d ever felt, more demanding than even her body’s need for blood. “No.” Defiant, Kijo said it out loud. Cold liquid ran down her spine. Sweat, she realized. The energy shifted, tipping her direction as though to acknowledge her refusal. Softer this time, the request was seductive. Touch. Kijo’s hand twitched at her side. With effort, she forced herself to walk away. Lavario’s words repeated, You don’t open it. It opens you. She’s also a hopeless World of Warcraft addict. In her heyday, she was a top parsing disc priest. She became a paladin to fight Deathwing, she went back to a priest to cuddle pandas, and then she went to a shaman because I guess she thought it would be fun to spend an entire expansion underpowered and frustrated. Boomchicken for Legion! You can find Jacqueline on Twitter.